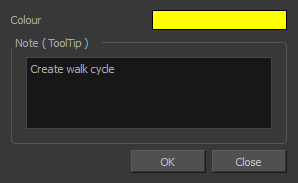 As you animate, the Timeline view will contain many layers and keyframes. You might want to identify them using coloured layers and scene markers. The Change Track Colour button is used to change the colour of the exposed frames so you can quickly locate a layer in the Timeline view. 1. 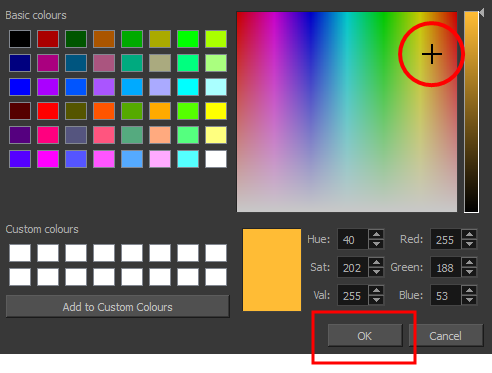 Click the swatch to open the Select Colour dialog box and choose a new colour. You can modify the layer for any type of layer, such as group, peg, drawing and effects.